The Southern School of Natural Therapies (SSNT) is located in the vibrant Brunswick Street district of Fitzroy in Melbourne. With a commitment to operating in a sustainable and green campus, the space reflects a goal to create inspiring learning environments by combining high quality classrooms and social settings that give our students a safe space to thrive. Come and see the campus yourself, and ask your questions about studying with SSNT at the same time. Contact one of our Course Career Advisors today. What courses are available at this campus? The campus is readily accessible via public transport including tram, bus and train. 2-hour street parking is also available right outside the campus. Many students choose to live close by or in other inner-city suburbs such as Carlton, Collingwood, Clifton Hill and Richmond. The common area includes a kitchen with refrigerator, microwaves, toasters and other appliances for student use. There is also an eclectic mix of restaurants and cafes within walking distance. Melbourne has a reputation as the cultural hub of Australia. 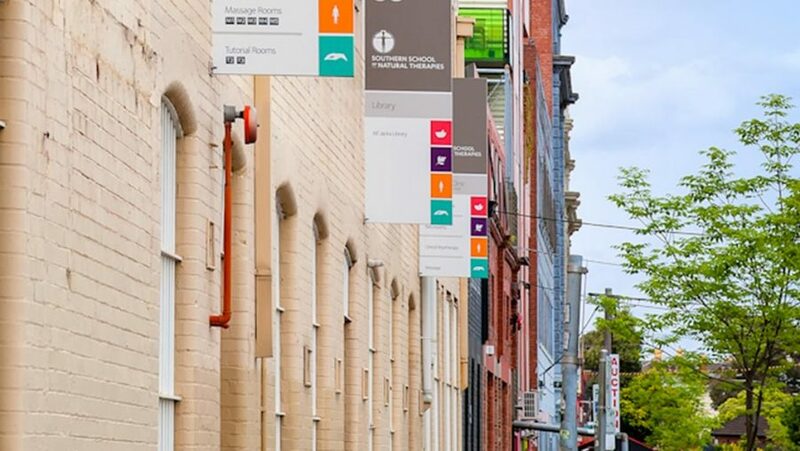 The campus is conveniently situated close to a multitude of art galleries, restaurant and cafe precincts, popular and eclectic community hubs such as Brunswick and Greville Streets so creative inspiration is never far away. Got a question about Melbourne?